Bright yellow phalaenopsis orchid set into a stone and white ceramic pot. 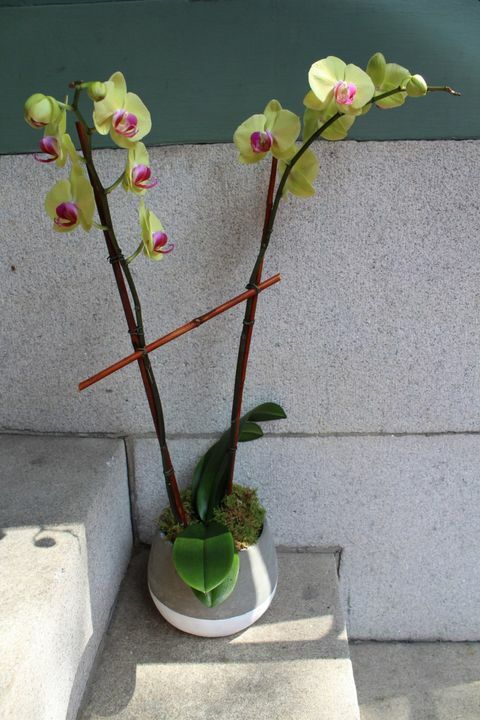 Orchids are always a good idea - they will will last in bloom for many months with minimal care! 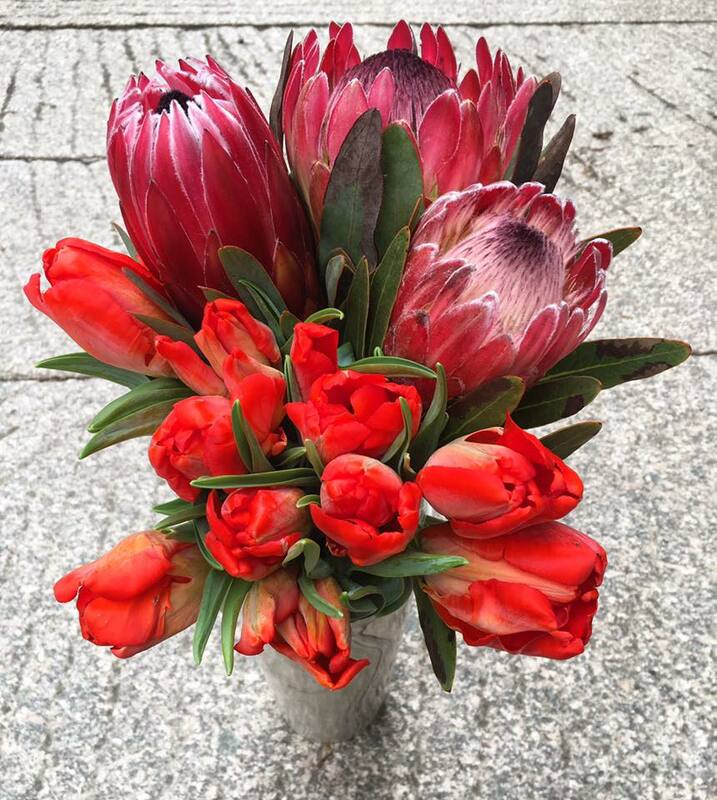 Vibrant and cheerful bouquet, for a special recipient! We used craspedia, roses, protea, cymbidium orchids, hydrangea, and touches of bear grass! Winter storm Stella dropped a ton of snow on the entire east coast yesterday, but the first official day of spring is just 5 days away! Our specials this week exude everything that is springtime - sweet, fragrant muscari, bright yellow freesia, and cream ranunculus, all tied together with a mini green hydrangea and silver dollar eucalyptus. As always, we have them available in a jar or hand-tied bouquet. Once you shovel out, come by and pick one up! Happy International Women's Day! Today is the day to show those specials ladies in your life how much you appreciate them for everything they do. We know we want to thank our wonderful, female team of designers who create beautiful flower arrangements and keep the boutique looking lush and full! They would be happy to create a special something for your special someones - give us a call or stop in!